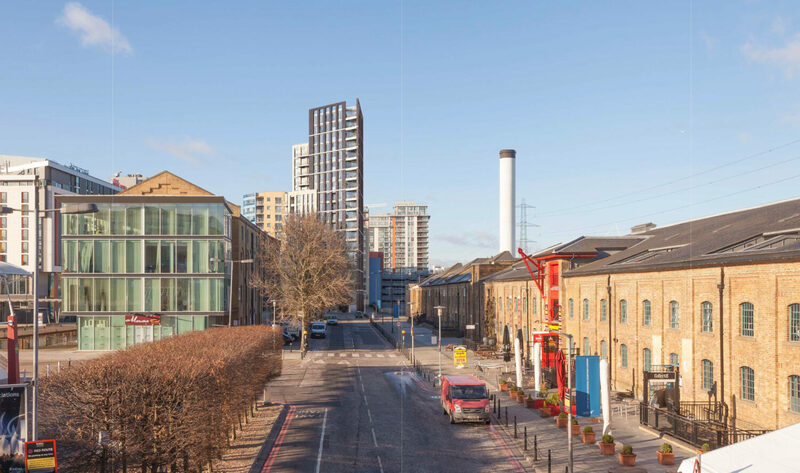 Plans for a new 20 storey tower in the Royal Victoria Docks has been granted planning approval by the London Borough of Newham. EPR’s design for the the residential-led mixed-use development for Mount Anvil will see the completion of the final piece of the Western Gateway site transformed into 100 new apartments including affordable homes, new ground floor commercial or retail space and public realm. Taking full advantage of its position near to Royal Victoria Docks and ExCeL Exhibition Centre, within very close proximity to excellent transport links and local amenities, the development will further enhance this already attractive setting, for both new and existing residents within this part of the borough. Through a considered and creative approach to the architectural expression of the buildings elevations and a contemporary materials palette; the project represents an exciting opportunity to contribute and improve upon the existing modern architectural language of the area whilst being sympathetic to the unique historic warehouse character of the area.